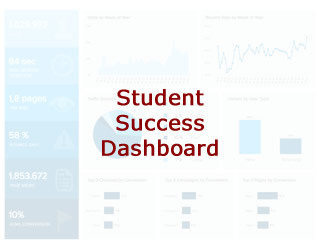 The Student Success Dashboard and Reports is the official source for tracking UTK retention, persistence, and metrics that help determine and drive intervention strategies toward increasing student success on campus. The project is currently undergoing a scoping phase where relevant metrics and KPIs are being determined. The reports are scheduled to go live in stages throughout 2018. Data within the Student Success Reports is a combination of census and daily data from the campus data warehouse.